Wireless keyboard and mouse interference can result in lag. While working on your laptop or computer, you may find that your wireless keyboard and mouse become unresponsive, stuttery and laggy. This can be very infuriating, but here are some steps to help resolve the problem. 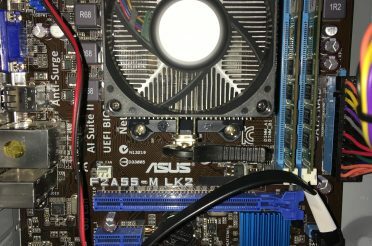 If your PC or laptop has USB 3.0 (SS) ports, connect USB 3.0 devices in these ports. 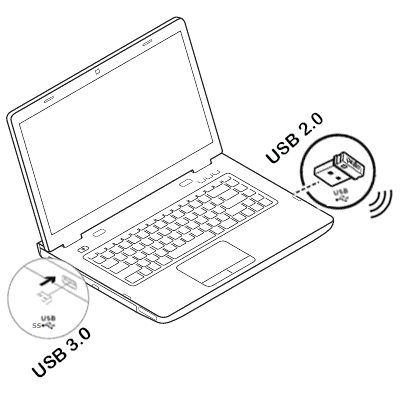 Then plug the USB 2.0 devices such as the wireless receiver in the USB 2.0 ports, giving as much distance away from the USB 3.0 device as possible. For instance, if your laptop has a USB 3.0 port on the left, plug in your external hard drive there and if there is a USB 2.0 port on the right, plug in your USB wireless keyboard and mouse receiver there. Ensure that your wireless keyboard and mouse receiver are positioned as close as possible to the keyboard and mouse. In situations where you are unable to create much distance between the USB 3.0 and USB 2.0 devices, use a USB extender cable to increase this distance. Please feel free to contact us for any further help.